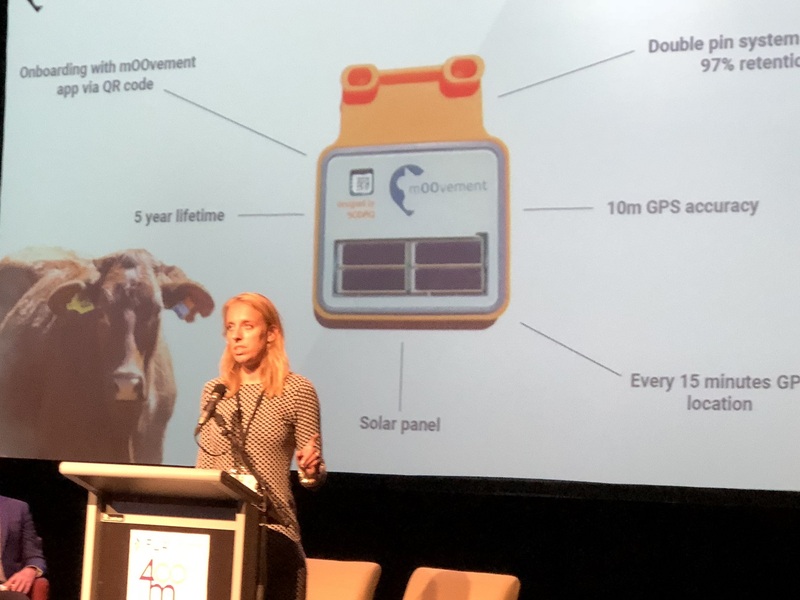 Moovement co-founder, Ciska van der Berg, outlines the livestock tracking system at the 400M Ag and Food Innovation Forum in Tooowoomba, Qld. A livestock tracking system initially developed for the African rangelands is being adapted for application in the vast pastoral livestock spreads of Australia. Developed in 2016 by four Dutch colleagues of Rabobank for tracking livestock on farms in Kenya, the Moovement system is based on tagging cattle with a GPS tracking chip linked to a purpose-build app. Moovement co-founder, Ciska van der Berg, told this week’s 400M Ag and Food Innovation Forum in Toowoomba, Queensland, the system was designed to give producers a simple, cost-effective way of keeping track of their stock and raising alerts when problems occurred. “Farmers don’t know where their cattle are, if they are in trouble or when the cows are going to calve. The lack of objective behavioural and locational insight makes it really hard, time consuming and difficult to run extensive beef operations. We wanted to provide a solution for them,” she said. 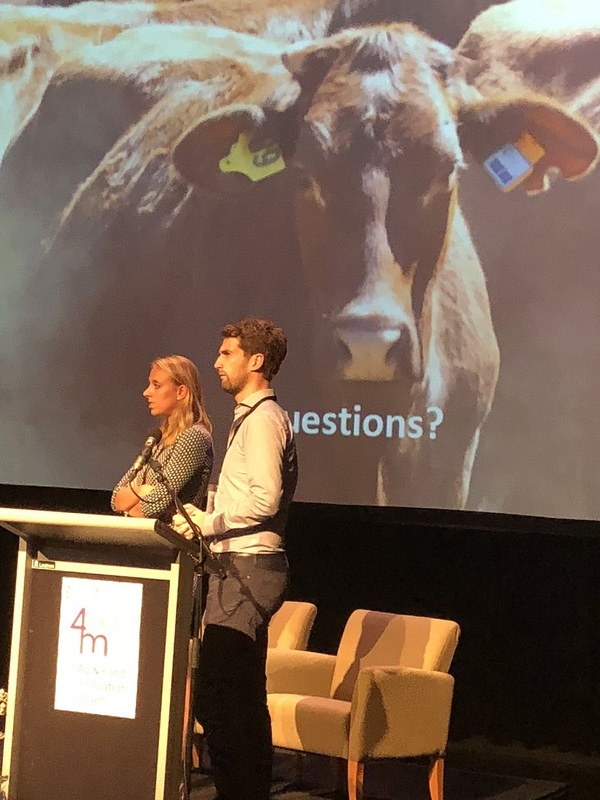 Moovement co-founders, Ciska van der Berg and Pieter Vogels, field questions about their livestock tracking system at the 400M Ag and Food Innovation Forum in Tooowoomba, Qld. Attached to the animal’s ear with the same type of applicator used for NLIS tags, each double-pin ear tag has a solar panel, GPS sensor and accelerometer sensor in it. There is also a QR code that helps speed up the process and eliminate human error. The GPS sensor connects with GPS satellites, providing positional accuracy of about 10 metres and relaying the animal’s location every 15 minutes. Ms van der Berg said Moovement was easy to use, did not have complicated data and provided a range of remote monitoring and alert functions to help producers better-manage their livestock enterprises. “It gives stock moving alerts and indications of where a fence has been broken; there is a ‘jump the fence’ alert; it gives the location of cows for mustering; and notifications when something is wrong,” she said. Moovement co-founder, Pieter Vogels, told the conference the tracking tag was currently put into the opposite ear to the NLIS tag, but they were working on getting it NLIS accredited. “Cost will be $15/year/cow. That excludes the network. It depends on where you are at. If it is a small property we can cover it with one antenna on the homestead for $750, or inside a fixture with a solar panel in the field it will be $2500,” he said. Ms van der Berg said the tracking system was still in the development stage but nearing commercialisation. The aim was to have it available in Australia from April, 2019. “In total we have a market of 440 million beef cattle graziers in extensive pasture systems in the world. So, there is a huge opportunity,” she said.